Member: Alameda County Bar Association; State Bar of California; Alameda Contra Costa Trial Lawyers Association. Matthew Joseph Gonsalves has been a practicing attorney since his admission to the State Bar of California in 1980. 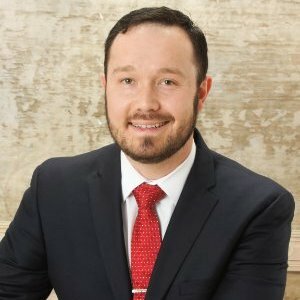 He is well versed in many areas of law including Non-Marital Cohabitation (Marvin Cases), Family Law, Divorce, Child Custody, Child Support, Spousal Support, Domestic Violence, Contracts, Wills, Trusts, Conservatorships, Probate, Contested Probates, Estate Law, Auto Accidents and many other areas. Mr. Gonsalves completed his education and received his Juris Doctorate from Western State University School of Law in May of 1980 and took and passed the California State Bar Exam that same year. He immediately returned to the Bay Area and began practicing law with the Law Offices of Simonian and Pretzer. He shortly became a partner and the law firm was renamed the Law Offices of Simonian, Pretzer and Gonsalves. He applied for and was accepted to the U.S. Supreme Court in 1985, a goal that few, if any, local attorneys have met. He proudly opened his own practice in 1986. After 25 years at the same location, he relocated across town to a larger, more central location at 438 Estudillo Avenue. Mr. Gonsalves is an active member of the Alameda County Bar Association, State Bar of California and the Alameda Contra Costa Trial Lawyers Association. He has acted as Judge Pro Tem for the Alameda County Superior Court, he is a court appointed Special Master, Guardian at Litem, Special Trustee and Personal Representative in contested trust and probate cases. In addition, Mr. Gonsalves has been appointed by the State Bar of California as a Specialized Arbitrator. Born and raised in San Leandro, Mr. Gonsalves remains actively involved in the community. He demonstrates his dedication to the surrounding community by participating in local health fairs and charitable organizations, providing free legal education to the public. He is an instructor in various specialties of the law for the Bay Area Legal Secretaries Forum. Mr. Gonsavles brings all these different types of legal experiences, to benefit his clients, in that it provides for a more well-rounded approach to solving difficult and contentious legal problems. He is a strong advocate who fully understands the impact of legal matters on the family, family businesses and especially children. Practice Areas: Family Law; Divorce; Child Custody; Spousal Support; Child Support; and Domestic Violence. Member: Alameda County Bar Association and State Bar of California. Mr. Veligurov is experienced in family law matters. During law school he externed at the Alameda County Family Justice Center where he worked at the Legal Services clinic. Mr. Veligurov was a certified law student which allowed him to represent clients in domestic violence restraining orders cases. He has been working as an associate attorney at the Law Offices of Matthew J. Gonsalves since September 28, 2016. He has experience with Divorce; Child Custody; Spousal Support; Child Support; and Domestic Violence as well as personal injury matters such as auto accidents and premises liability. Mr. Veligurov has a Bachelor’s of Science degree in Criminal Justice from San Jose State University as well as a P.O.S.T. Certificate for his completion of the South Bay Regional Public Safety Training Consortium’s Police Academy program. Mr. Veligurov attended the Prestigious University of San Francisco School of Law from which he graduated in May of 2015 with a Juris Doctorate. Mr. Veligurov is fluent in russian and enjoys assisting clients for whom english is not a first language. Clients appreciate Mr. Veligurov’s pragmatism, authenticity and goal oriented approach to handling their matter.